The second round of the playoffs kick off with what will probably be the most competitive game of the weekend. The Saints, who have never won a playoff game in an opposing team’s stadium, will most likely have to win two such games to reach the Super Bowl. A lot of people seem to be already penciling the Saints in to the NFC title game, but this will not be an easy game. New Orleans doesn’t play as well on the road and their defense is average to below average. The Niners boast one of the leagues’ best defenses, they’re one of the healthiest playoff teams in recent memory, and they have the luxury of home field advantage. I still think the Saints will win, but it won’t be easy, and I will not be shocked if the 49ers pull off the upset. Unsung Hero: Robert Meacham, NO; The Niners defense has been great in 2011, but they have been susceptible to the big play. Meacham and Devery Henderson should be able to slip by the Niners’ secondary for a big play or two. For the Broncos to win this game, everything will have to break their way. They’ll have to get constant pressure on Tom Brady and force him into a few turnovers. Tim Tebow will have to play a perfect game, and the Denver running game will have to consistently move the chains and eat up clock. It won’t be easy, but the way things have gone for the Broncos this season, nothing is out of the question. Still, I think this is the end of the road for Broncos and their folk hero. In his first career road playoff start, Tebow won’t be able to keep up the scoring pace with Brady, Gronk, Welker and the rest of the Pats offense. 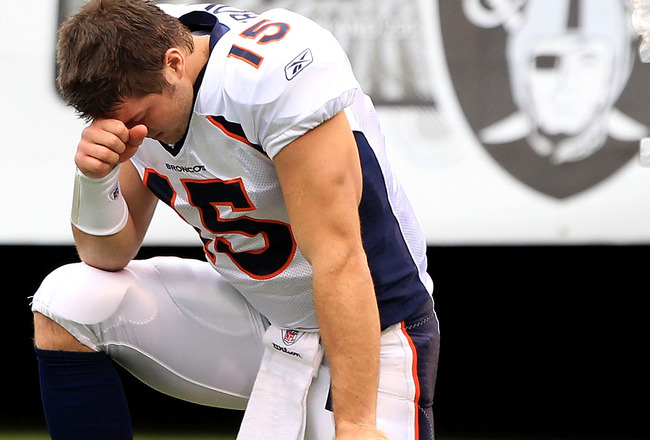 But really, who knows, it’s Tebow. Unsung Hero: Patrick Chung, NE; The Pats can’t let Tebow come up with big plays, and they should be able to force him into a few turnovers. Watch for Chung to make some noise with a forced turnover or two. Chung, one of the best players on the Patriots’ below average defense, missed most of the season’s second half, including the first meeting with the Broncos.